Do Restaurants Have To Provide Food Allergy Warnings? Restaurants are not legally required to provide food allergy warnings for people who are allergic to ingredients in the food. This may come as a surprise to people with food allergies, who are used to purchasing food products at the supermarket that list major allergens, but for the most part, those who live with food allergies dine out at their own risk. Although many restaurants, especially chain restaurants, may provide guides to the allergens in their foods (or may even post a gluten-free menu, which helps people with wheat allergy and celiac disease), it's still rare to see food allergy warning signs in restaurants. This is true even if it's obvious allergens are present at a particular restaurant (peanut sauce at a Thai restaurant, for example, or shellfish at a seafood place). Therefore, you generally need to do your own due diligence before eating out anywhere. There are some exceptions to this eat-at-your-own-risk rule, though, and I outline them below. First, here's the relevant background information. Congress designed the Food Allergen Labeling and Consumer Protection Act of 2004 (FALCPA) to cover packaged food items. Packaged food is the type of pre-packaged food product with an ingredient list that you purchase in a supermarket. Generally speaking, this covers almost anything you buy at a supermarket that contains more than one ingredient (for example, plain beef packed at the butcher counter or plain bananas packaged in the produce section). The law does not require retail or food service companies that make food to order to give ingredient lists or allergy warnings to customers. That means any restaurant, cafe or food cart that makes food to order does not need to give you the ingredients list or tell you the food contains allergens. Therefore, when dining out at a restaurant, you shouldn't expect the server or the chef to provide a list of your meal's ingredients, or to warn you about cross-contamination, since they're not required to do so. Many will do so voluntarily, of course, but you shouldn't count on it. Here's one exception to the law: If the restaurant or food service company makes food and sells it pre-packaged for you to take home, those packages are required to list ingredients with allergy warnings. You may be able to use this quirk of the law to your advantage to determine if a particular food contains your allergen by checking out the pre-packaged version. But don't just assume the pre-packaged food contains the exact same ingredients as the food made to order. Sometimes recipes differ, or the pre-packaged products for sale are made off-site (or even by another company). There's one more exception: Just as restaurants don't need to label allergens in food they serve, they aren't required to label dishes that contain the gluten protein, which you find in the grains wheat, barley, and rye. But if that same restaurant chooses to label a dish "gluten-free," it must adhere to FDA rules on gluten-free labeling, which require foods labeled "gluten-free" to contain less than 20 parts per million of gluten, a very low level. 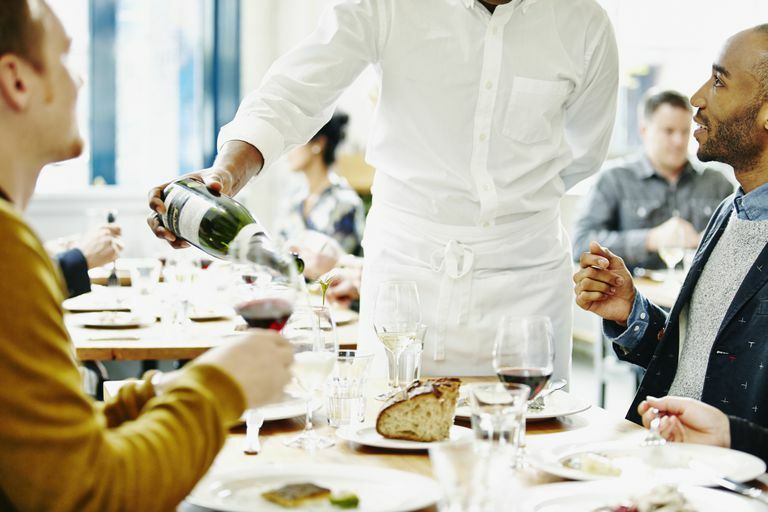 These days, with food allergies in general on the rise, many restaurants (although not all by any means) will make a significant effort to accommodate patrons with food allergies. This has helped people with food allergies eat out safely and comfortably. If you're trying a new restaurant and you have a food allergy, I advise calling ahead to make sure you can be accommodated. Also, you should use some common sense: If you're severely allergic to shellfish, for example, you shouldn't assume the local crab shack can handle your request for a completely shellfish-free meal. That brings up my last point: The biggest danger when eating in restaurants is always the possibility of cross-contamination. To stay safe, always ask to talk to the chef or use a dining card to explain your allergies. Radke TL et al. Food Allergy Knowledge and Attitudes of Restaurant Managers and Staff: An EHS-Net Study. Journal of Food Protection. 2016 Sep; 79(9): 1588–1598.